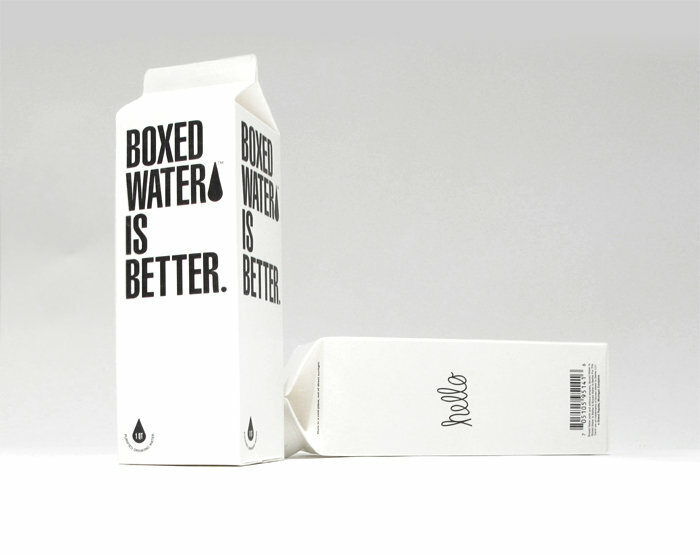 Just like the above title of our post, and as the moniker of the most aptly named water company is world, boxed water is better. Here's why; the Boxed Water container is far more sustainable than plastic bottles as 76% of the is made from a renewable resource, the trees used to make the box come from certified and well managed forests, the boxes are recyclable, and the boxes are shipped flat to the filling facility making the shipping process far more efficient and streamlined using far fewer gallons of fuel and dumping far fewer pollutants into the atmosphere. On top of all that, the company donates 10% of profits to water relief foundations, and another 10% of profits to reforestation foundations. Ultimately, the best choice is to buy yourself a refillable container. However, if that's not your thing or you're constantly forgetting it at the office or in the car, you should endeavour to make an ethical purchase, and Boxed Water is it. Speak with your grocer, or corner store manager, or whomever runs where you buy water and demand they get Boxed Water. More info available here.